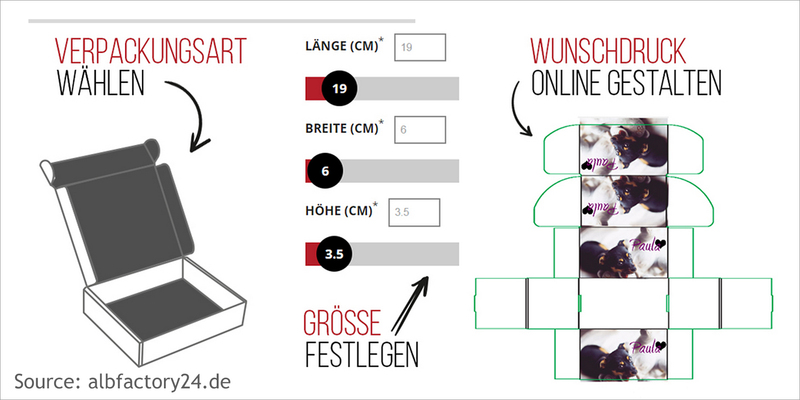 Web-to-packaging: customizable packaging – what does the D/A/CH online print market have to offer? At a growth rate of around 5 %, packaging print will be one of the strongest drivers of the print industry in the next few years. The online print sector is also responding to increased demand for customizable cardboard packaging with a range of positive options. Paper-based packaging – it is usually considerably more complex in terms of design and finishing than standard print products and will represent a key growth segment in the print industry for at least the next four years. Although packaging does not (yet) account for the bulk of online print orders, demand for it is growing, in fact significantly. And because smaller B2B and especially B2C customers rarely inquire about the complexity of the online application – to some extent they naively assume that it works as in the case of simple orders – I have once again homed in on the D/A/CH web-to-packaging market and taken a closer look at some of the providers. According to the last VDMA global packaging print survey, there is a very clear trend towards smaller quantities and formats tailored to specific target audiences. According to the survey, the folding box segment is set to grow by around 5.2% by the year 2020, while corrugated cardboard will achieve 4.5 % growth. Given that the overall print market is not growing, this represents one of the most lucrative areas in which to invest money. Online packaging print is now similar to other print segments – the key requirements (apart from high-quality output) are short delivery lead times, practical browser visualization options and low minimum print run quantities in particular. The demands on webstores in the packaging segment are also clearly defined. And that’s exactly what I used as the basis for my research. I have collated several interesting store features in the table below. In order to be able to distinguish between the various providers better, I have created the following categories (with different color codes from the top to the bottom of the table): providers of product cartons, shipping cartons (usually corrugated cardboard), product and shipping cartons (folding boxes and corrugated cardboard) and other carton products as well as non-packaging specialists. Mind you, this only represents a rough categorization and should not be argued about ad infinitum. So, what can the stores do? Nearly all the websites listed have provided design-it-yourself artwork masters in layout programs plus post-ordering print data transmission for some considerable time now. That’s certainly the best design resource for professional requirements. 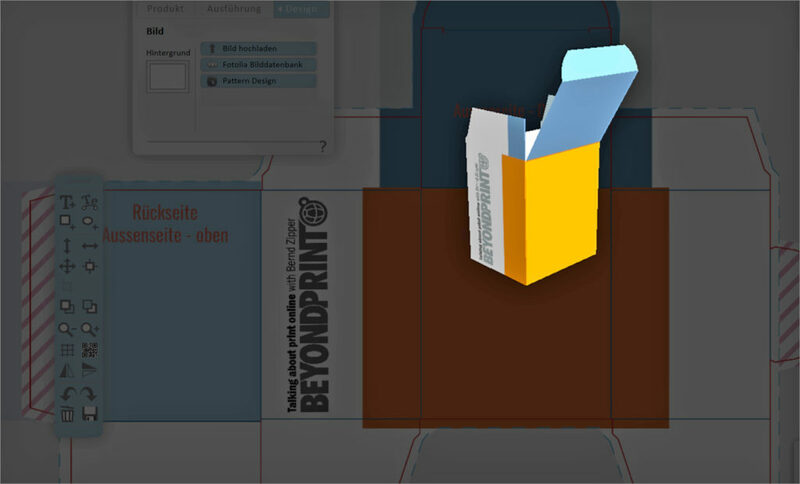 The only thing is that it is considerably easier for non-pros to visualize the appearance of packaging in the editor, if it –like for example the new Printmate version – simultaneously shows a 2D and a 3D representation of the user’s own design. Packaging, when used subsequently, does not lie or hang flat like many other print products. Using that benchmark, Printmate, Boxximo and Albfactory24 (both use the Color Alliance smartEDITOR tool) provide the best or rather the clearest option for direct visualization of customized packaging. What continues to be apparent at some of these specialists is that when you open the editor, a window appears that points out packaging-specific print surfaces like flaps and therefore helps to avoid potential errors that could occur when designing a box in the browser, e.g. creating non-bleed surfaces. White gaps and missing design details are therefore less likely. What I also like about Boxximo is that the insides of the box can be designed and visualized directly in the editor. A commonality among the print providers that provide an editing environment via the browser is the availability of integrated templates, images, various structural backgrounds as well as the option of adding texts and shapes. Some editors also feature CMYK, HEX and RGB color code definition options for color- and/or CI-compliant displays and print results above and beyond the standard ready-to-print data upload options. So as far as the editors in the store considered are concerned, we get a pretty acceptable overall picture, where the packaging specialists in particular (Categories 1 to 3) are better placed than the major online print providers. For the reasons mentioned above, some print providers therefore need to go one better in order to keep pace. Another issue that I took a look at is minimum order quantities. 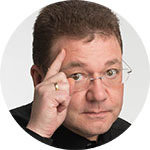 It’s not just the specialists that have an edge, so do a couple of the more major players, who conversely frequently “show signs of weakness” in terms of editors or other configuration features. The advantage of offering small minimum order quantities – even if they are significantly more expensive in relation to larger quantities – will in future increasingly pay dividends, because private customers and tradespeople will increasingly have small quantities of packaging and shipping cartons custom-made and printed. Obviously – a batch of 1 comes at a price. But the short delivery times (by packaging print standards) that most of the providers considered already offer means that a prototype cardboard box is already on the customer’s desk two weeks after being ordered – in the case of some providers even considerably earlier. And that is a reasonable way of appealing to the B2C and small business segment even at a minimum quantity of 25 units – assuming equally fast delivery times. I should add that the delivery deadline of seven working days (including Saturday!) is very tight. But it also shows that express production and delivery are feasible even for packaging. The table also enables you to recognize the degree of portfolio flexibility that some packaging print providers offer. Nearly one third of stores already offer in-browser custom configuration of packaging dimensions – the others to some extent accept dimension inquiries by e-mail and action them accordingly. I am convinced that size variability in particular will make buying decisions easier for plenty of customers, who want to package expensive content appropriately. That’s because packaging dimensions that are tailored to the product – an overall better fit – give the contents of the box an even greater sense of quality and value. As you can see, that’s possible in the online print industry too. And I recently demonstrated in my report about this year’s Luxepack that the look, size and finish of primary and secondary packaging definitely determine the quality of the overall impression conveyed. My take: given that the stores specializing in packaging listed in the table above are almost all still start-ups, it is all the more gratifying to note that there have again been some improvements in the last year as far as the breadth and display quality of packaging that you can design and order online are concerned. Direct 2D and 3D visualization of customers’ own designs is now a web-to-packaging store standard. And low minimum order quantities are making self-designed packaging attractive to SMEs. Of course at unit prices starting at 6 Euros not including shipping, the whole thing needs to make commercial sense. That then depends on the product to be packaged and its value. But as I recently reported, customers’ willingness to pay for special and above all personalizable print products is high and increasing. And although three-digit purchase quantities mean that unit costs are usually reduced considerably – self-designed packaging still has to be used realistically, even at smaller businesses. In my opinion the D/A/CH web-to-packaging market is in a pretty good place. What I shall be taking a look at next time is mobile compatibility of the portals together with – if available, see table – editor environments. That’s because mobile-compatible editors are gaining importance, given the complexity of packaging design and the expectations of customers.